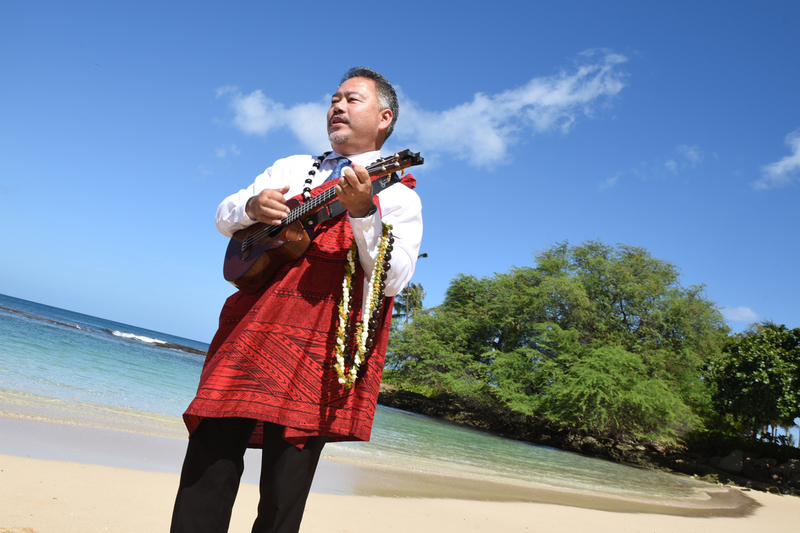 Rev John plays the Ukulele at Paradise Cove Beach in Ko Olina. 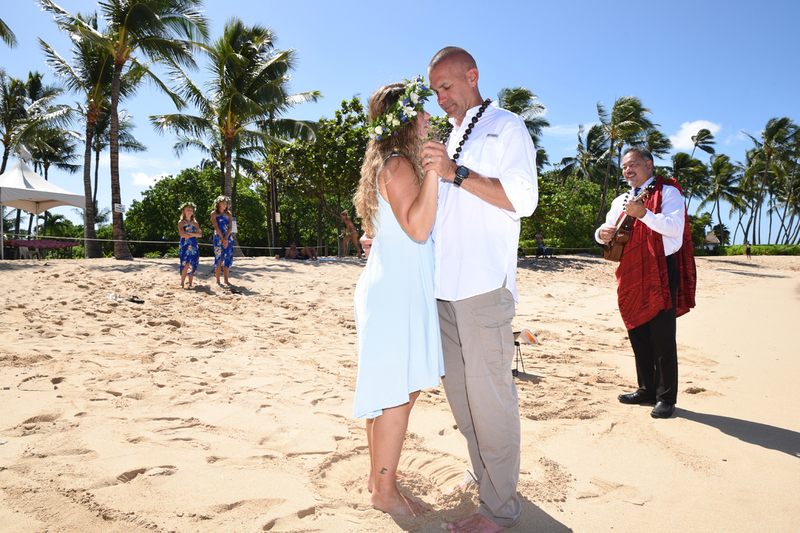 Bride and Groom dance to the music at the beach. Little bridesmaids help with the celebration. 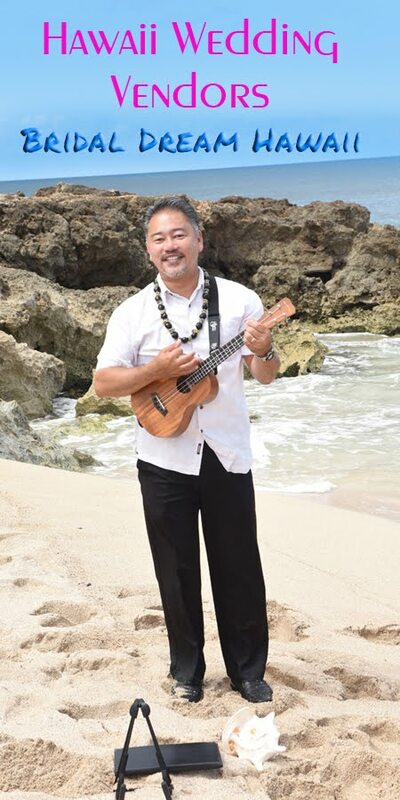 Need a MUSICIAN in Ko Olina? 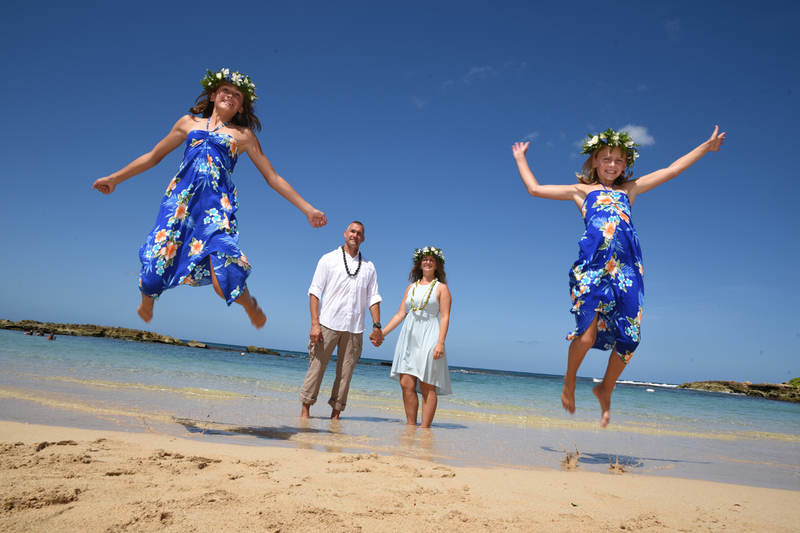 Call Bridal Dream Hawaii at 808-924-3600 today!